NAN: What is your current occupation? 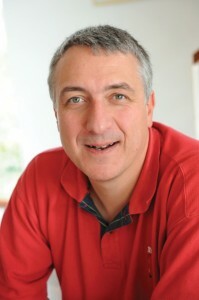 FREDERIC:: I am a software principal engineer at Oracle. NAN: Your website Vecoven.com features projects involving capacitors, microcontrollers, and EEPROM and hardware emulators. Tell us a little about the projects and your design process. FREDERIC: At work I design firmware for high-end servers. At home I like to design my own stuff, so I have full control and can create new devices and/or enhance existing ones. I work on various projects and I don’t find enough time to document all of them on the website. For example, I designed a controller for the central heating in my house, but never documented it (it’s too “custom”). I love retrocomputing, which is how my FreHD project started. This is a hard-drive emulator for TRS-80 computers. My design process starts from an idea (I have too many, so I must carefully select one) then a lot of thinking about the future implementation (as always, designing something is about compromises). Once I have a clear view in my mind about how things should work, I start prototyping. If possible, I use a breadboard or I create a PCB. Sometimes I do a lot of simulation before starting the prototyping, as this will save a lot of time. However, that cannot be done for all projects. NAN: How long have you been designing microcontroller-based systems? FREDERIC: More than 15 years. NAN: How did you become interested in technology? FREDERIC: When I was 13 years old I fell in love with computers when I saw a TRS-80 model in high school. I am thankful to my parents, who gave me a computer one year later. I went to college and got a master’s degree in computer science. But I wasn’t satisfied, so I studied some more years to get another master’s degree, this time in electrical engineering. The combination of software and hardware is really powerful. A few years later, I relocated to the San Francisco Bay Area, but I am back in Europe now. NAN: Describe the first embedded system you designed. Where were you at the time? What did you learn from the experience? FREDERIC: My first big experience with a real embedded system was when I was working for Sun Microsystems. My group was writing the firmware for the system controllers of the SunFire 3800-6900 line. The embedded system was a small SPARC CPU running Wind River Systems’s VxWorks and the firmware was almost entirely written in Java. NAN: What was the last electronics design-related product you purchased and how did you use it? FREDERIC: I bought some FPGAs recently. I haven’t released any project with it yet, it is still a work in progress. My hobby time is very limited. My idea is to use a CPU core and enhance it with new instructions to enable the generation of real-time signals. FPGAs are very powerful in that area, where a microcontroller would spend most of its time processing interrupts. NAN: Are you currently working on or planning any projects? 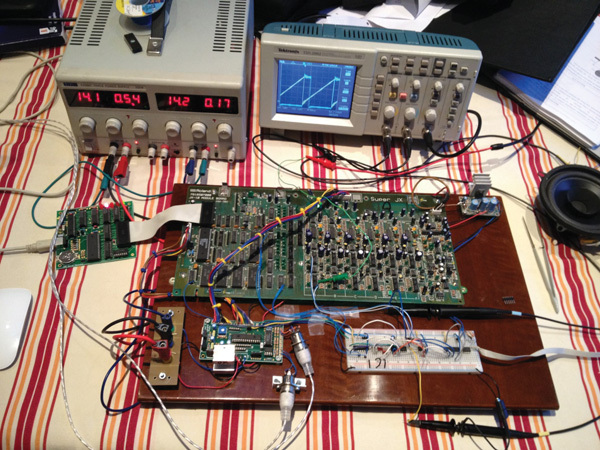 This is Frederic’s PWM prototype for his Roland Super JX synthesizer. 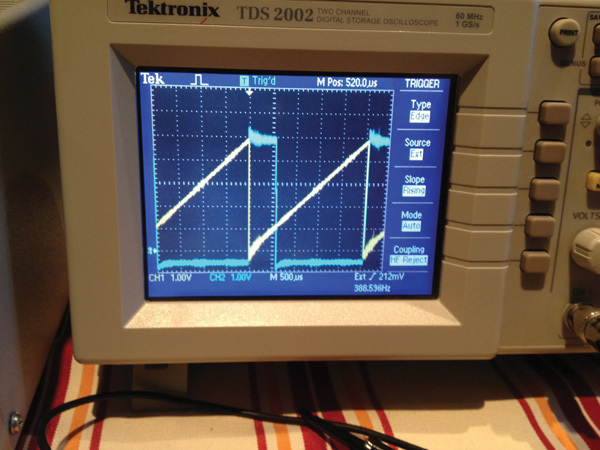 FREDERIC: Yes, I have rewritten the Roland JX-10/MKS-70 firmware from scratch because I wanted to add PWM waveforms. This quickly turned into a big project. Currently, the prototype setup involves a simulator running the “assigner” code on my laptop. The laptop sends the sound board commands in System Exclusive (SysEx) Musical Instrument Digital Interface (MIDI) messages, which go to a microcontroller that extracts the payload from the SysEx. The payload is then sent to the sound board, which believes it got its instructions directly from the assigner. The sound board (which runs its own microcontroller) uses an EPROM emulator connected over USB, so I can easily modify the assigner code (running in the simulator) or the sound board code (running in the EPROM emulator) without having to program any chip. Note that I didn’t have an EPROM emulator, so I designed mine. 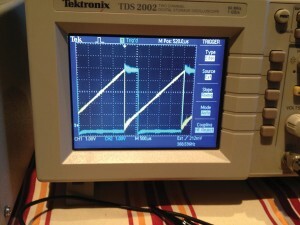 This oscilloscope capture shows the generated PWM signal. FREDERIC: The power of CPUs and GPUs are really exciting. 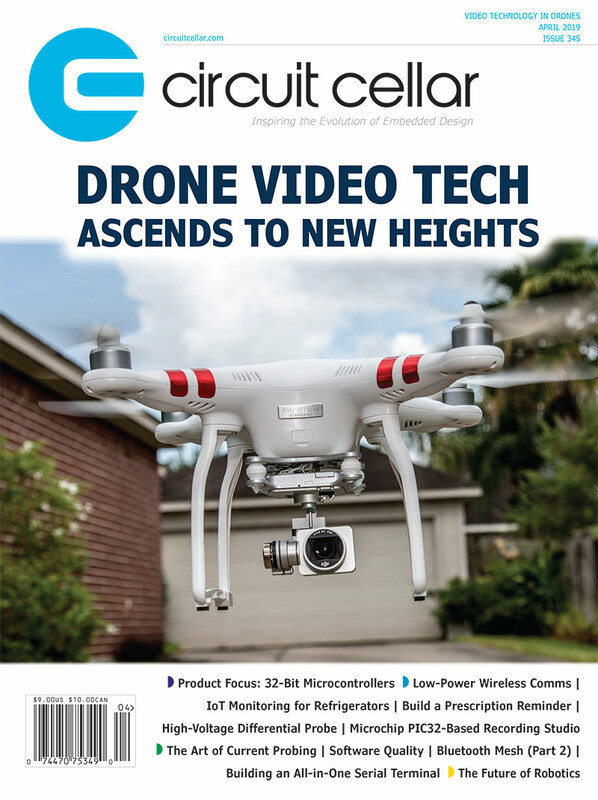 You can pretty much do everything with software now (a 32-bit core costs less than $5). On the other side, people don’t pay enough attention to optimization, so I am sad anytime I see poorly written code. I am also excited with all the tools and hardware available today for so little cost. That wasn’t the case in the past, so it opens door to students and hobbyists. NAN: Last question. Let’s say you had a full year and a nice budget to work on any embedded design project you wanted. Call it your “dream project.” What would it be? FREDERIC: I would love to do some robotic design, but I am not an expert in mechanics and I don’t have the tools (e.g., lathe, milling machine, etc.). That would fill the gap: hardware, software, and mechanics. This entry was posted in Interviews and tagged capacitors, EPROM emulator, FPGA, hardware emulators, micrcontroller, PCB, retrocomputing by Circuit Cellar Staff.